N6WUQ James - If you like packet radio you will find me there. Kantronics - Kantronics produce Modems, Tnc, Kam, Marine, wireless modems. Packet radio communication devices, HF E-mail, paging, GPS tracking, weather data gathering, or wireless data transmission. RXClus - RXCLUS is a free windows amateur radio software especially designed for the DX'ers and SWL's wanting to receive the informations transmitted by packet radio on the DX-cluster system. It supports also telnet protocol. 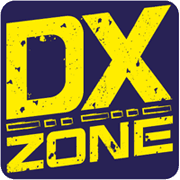 DXbase - Commercial amateur radio logging software for windows. Full featured logging, HF radio control, Internet Packet, VHF Packet, Label Designer, Report Designer, and a lot more. RadioRaft - RadioRaft decodes 10 different ARQ modes, 8 different FEC modes, Packet, Baudot, CW... It works with a Hamcomm interface or a radiomodem. RadioRaft offers automatic detection of modes, speeds and shift. It comes with a frequencymeter/baudmeter included, it has signal frequency tracking and a bit by bit display mode. Very easy to use. practical and fast.